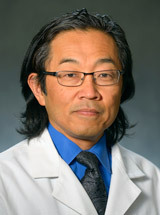 Dr. Furukawa is employed by Penn Medicine. Flood SP, Ayah O, Furukawa S, Norris RB: A rare cause of constrictive pericarditis BMJ Case Reports : pii: bcr2016216813,2017. Naqvi SY, Henry D, Furukawa S, Haber H: Primary neuroendocrine tumour of the right ventricle presenting with heart failure and cyanosis BMJ Case Reports : pii: bcr2016214810,2016. Dodd JW, Novotny P, Sciurba FC, Benzo RP; NETT Research Group: Executive function, survival, and hospitalization in chronic obstructive pulmonary disease. A longitudinal analysis of the National Emphysema Treatment Trial (NETT) Annals of the American Thoracic Society 12 (10): 1473-1481,2015. Kim V, Sternberg AL, Washko G, Make BJ, Han MK, Martinez F, Criner GJ; National Emphysema Treatment Trial Research Group: Severe chronic bronchitis in advanced emphysema increases mortality and hospitalizations COPD 10 (6): 667-678,2013. 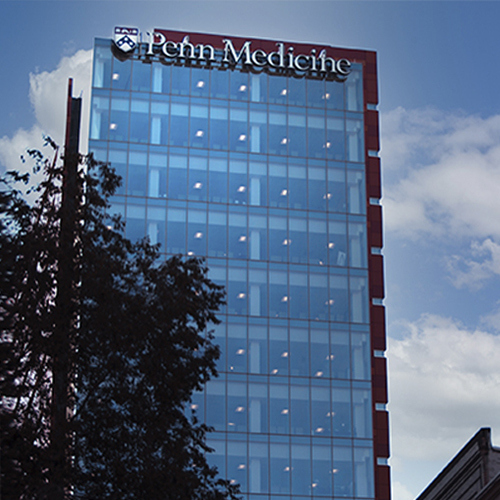 Benzo R, Siemion W, Novotny P, Sternberg A, Kaplan RM, Ries A, Wise R, Martinez F, Utz J, Sciurba F; National Emphysema Treatment Trial Research Group: Factors to inform clinicians about the end of life in severe chronic obstructive pulmonary disease Journal of Pain Symptom Management 46 (4): 491-499.e4,2013. Kim V, Kretschman DM, Sternberg AL, DeCamp MM Jr, Criner GJ; National Emphysema Treatment Trial Research Group: Weight gain after lung reduction surgery is related to improved lung function and ventilatory efficiency American Journal of Respiratory & Critical Care Medicine 186 (11): 1109-1116,2012. Come CE, Divo MJ, San José Estépar R, Sciurba FC, Criner GJ, Marchetti N, Scharf SM, Mosenifar Z, Make BJ, Keller CA, Minai OA, Martinez FJ, Han MK, Reilly JJ, Celli BR, Washko GR; NETT Research Group: Lung deflation and oxygen pulse in COPD: Results from the NETT randomized trial Respiratory Medicine 106 (1): 109-119,2012. Chandra D, Lipson DA, Hoffman EA, Hansen-Flaschen J, Sciurba FC, Decamp MM, Reilly JJ, Washko GR; National Emphysema Treatment Trial Research Group: Perfusion scintigraphy and patient selection for lung volume reduction surgery American Journal of Respiratory & Critical Care Medicine 182 (7): 937-946,2010. Molina EJ, Sandusky MF, Gupta D, Gaughan JP, McClurken JB, Furukawa S, Macha M: Outcomes after heart transplantation in patients with and without pretransplant renal dysfunction Scandinavian Cardiovascular Journal 44 (3): 168-176,2010. Washko GR, Martinez FJ, Hoffman EA, Loring SH, Estépar RS, Diaz AA, Sciurba FC, Silverman EK, Han MK, Decamp M, Reilly JJ; National Emphysema Treatment Trial Research Group: Physiological and computed tomographic predictors of outcome from lung volume reduction surgery American Journal of Respiratory & Critical Care Medicine 181 (5): 494-500,2010.